SANTA MONICA, CA—Suggesting that the disastrous events of three months ago could have been averted, federal investigators stated Wednesday that a trove of leaked documents confirmed high-ranking studio executives had full knowledge of Gods Of Egypt long before the film was released onto unsuspecting Americans. Sources said the documents—reportedly turned over to the FBI by an anonymous informant at Lionsgate Films—include email correspondence, memos, and financial records indicating the vast extent of negligence on the part of top-level management, who, despite knowing of plans to unleash the fantasy-action epic on the public more than three years in advance, chose to do nothing. Lionsgate executives reportedly had knowledge of the film three years ahead of its release. According to the FBI’s report, the activities and whereabouts of key players in Gods Of Egypt’s production were known to executives for over a decade, including those of director Alex Proyas, who masterminded similar calamities such as I, Robot in 2004 and Knowing in 2009. Studio officials, however, were said to have stayed silent, allowing Gods Of Egypt to continue even after receiving word that Proyas had recruited a team of actors to carry out elaborate fight sequences dressed as 10-foot-tall animal-headed deities. Additionally, top brass at Lionsgate reportedly neglected to warn their counterparts overseas, setting off a chain of events that ultimately allowed the high-budget adventure film to show on more than 3,000 screens around the world, resulting in a catastrophe of global scope. 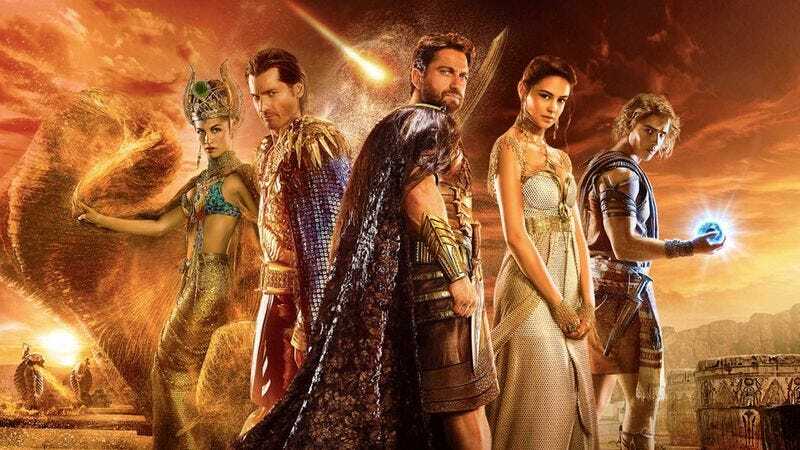 Upon hearing of the leaked documents, many of those still traumatized from having witnessed Gods Of Egypt expressed their revulsion at Lionsgate executives for failing to step in and prevent hundreds of thousands of Americans from experiencing 127 unfathomably hellish minutes of horrendous special effects and painful dialogue.